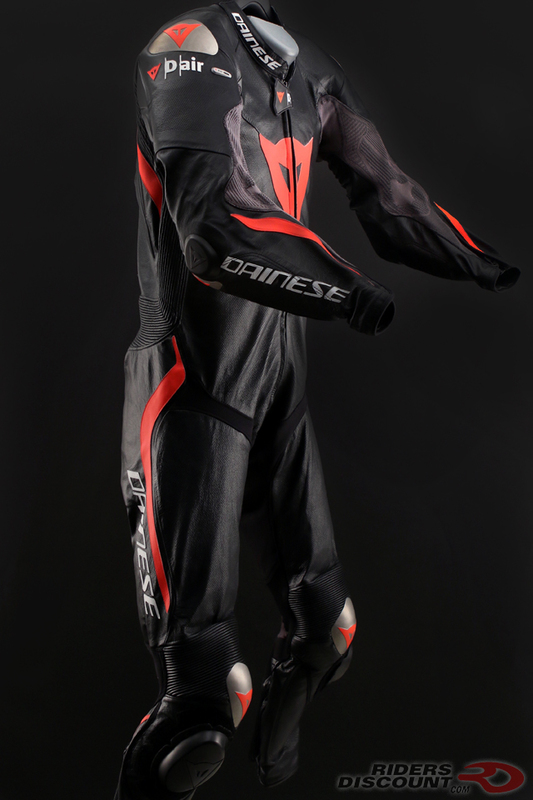 The Dainese D-Air Racing Mugello Suit is Dainese’s top-of-the-line suit equipped with the D-Air airbag system. 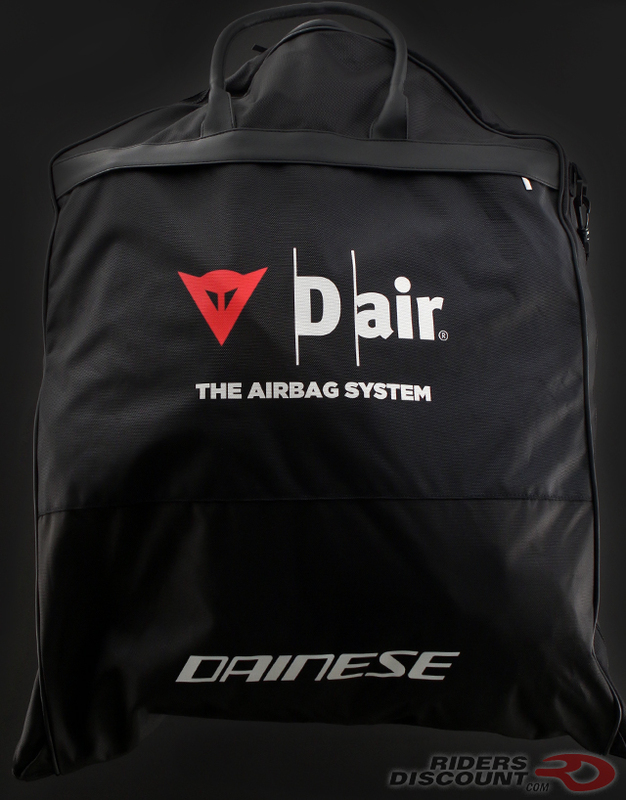 D-Air utilizes Dainese’s intelligent protection system to determine when to inflate the airbag (high side or low side). Electronic System – triggering algorithm and diagnostics managed by dedicated firmware; three accelerometers; three gyroscopes; a GPS; 2 GB internal memory; user interface (LED); lithium polymer battery. Pneumatic System – Dainese-patented 3D structure airbag; high-pressure airbag with a volume of 4 liters; “cold” technology gas generator. 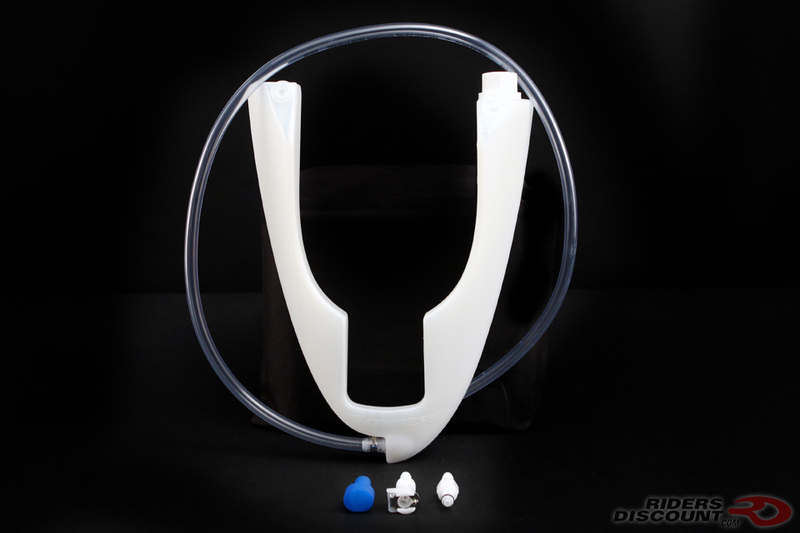 When activated, the airbag provides extra protection to the collarbones, shoulders, and neck. 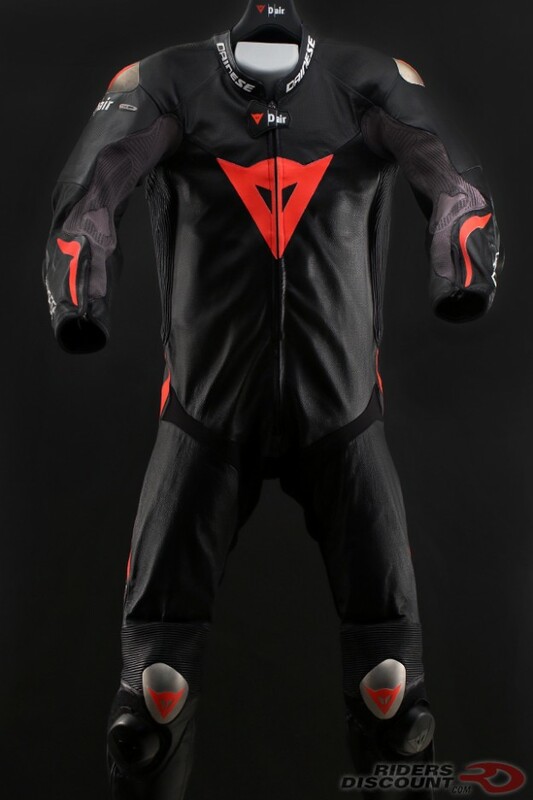 In addition to providing protection, the D-Air system built into this suit also collects data (lap times, max speed, etc.) allowing you to evaluate your performance on the track. The Mugello suit is constructed from 100% kangaroo leather, making it lightweight yet extremely abrasion resistant. 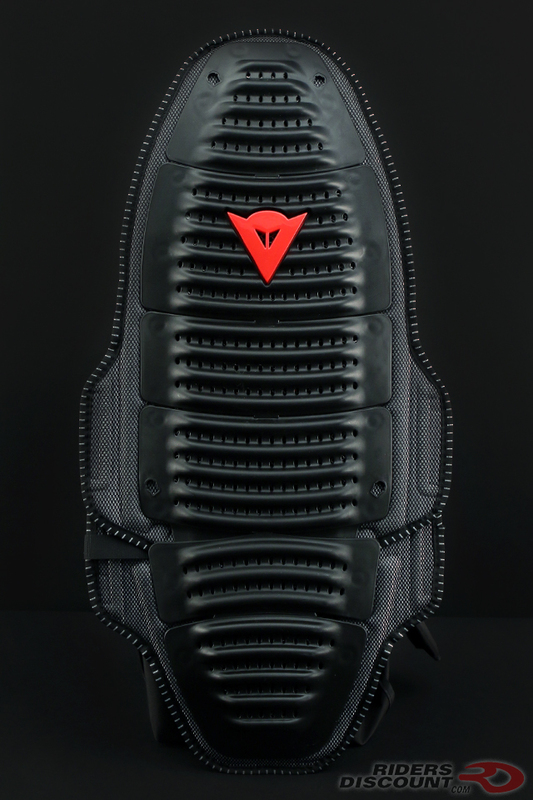 Localized perforation throughout the suit allows for excellent ventilation. The Mugello incorporates a tri-axial elasticated insert on the back and breathable elasticated inserts on the sleeves, legs, and neck for comfort and performance. Engineered elasticated textile on the sleeves and legs allow for better mobility. This suit features seamless titanium plates on the elbows, shoulders, and knees. 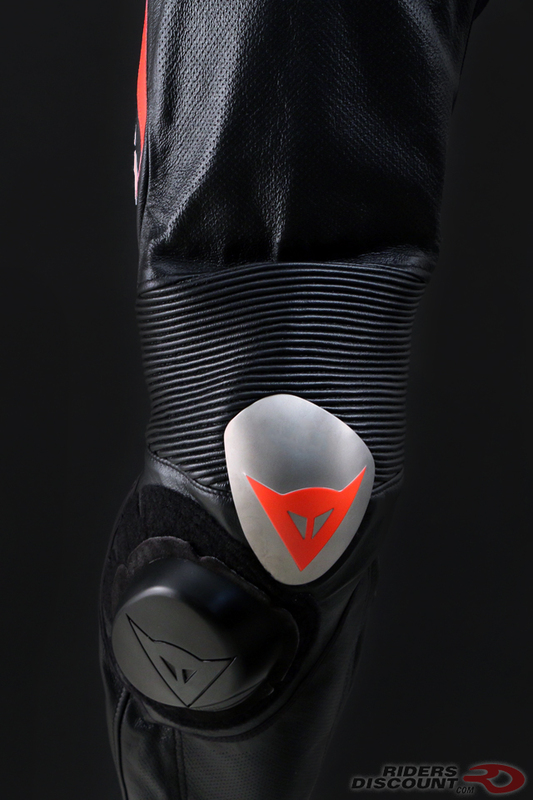 The elbows and knees have composite protectors and 2.0 sliders as well. The Mugello suit includes a back protector and hydration kit. Inside of this suit is a Nanofeel liner that’s completely removable. 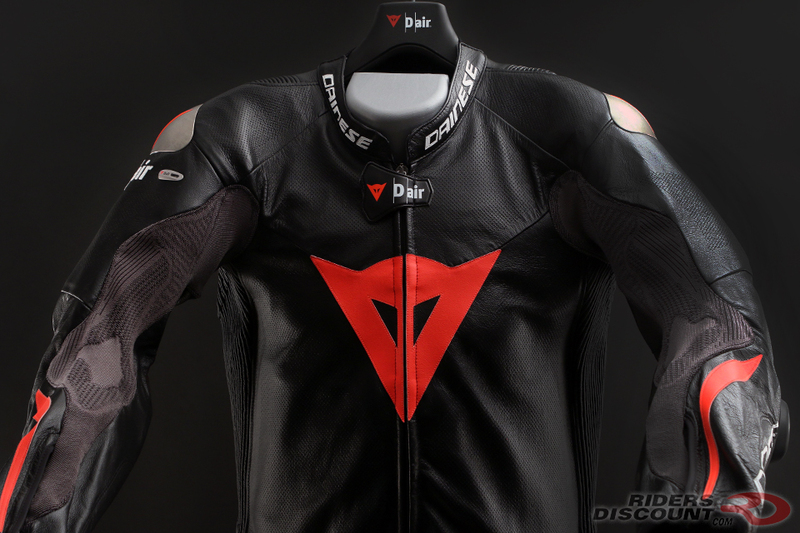 Please note: You must register the Dainese D-Air Racing Mugello Suit with Dainese. 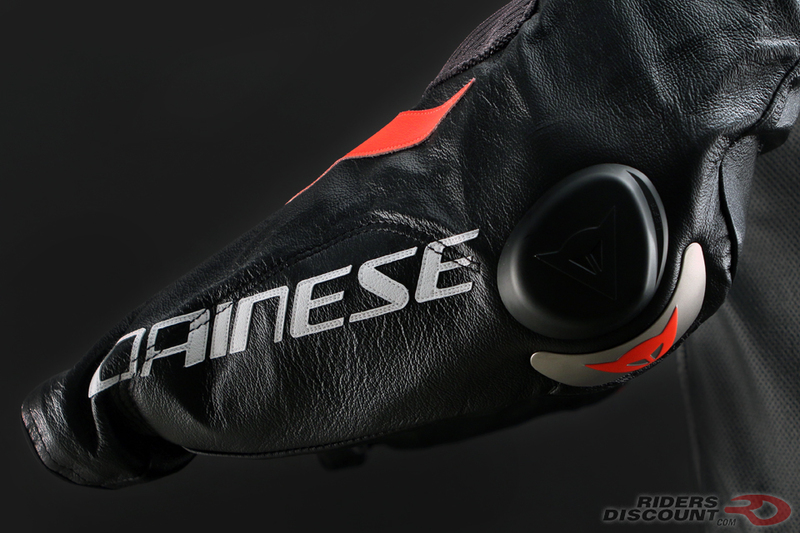 If the airbag is deployed, the suit must be sent to Dainese for inspection and to reset the airbag. 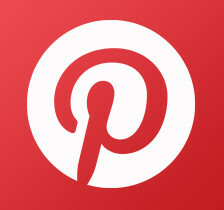 Owners of the suit are responsible for any costs associated. 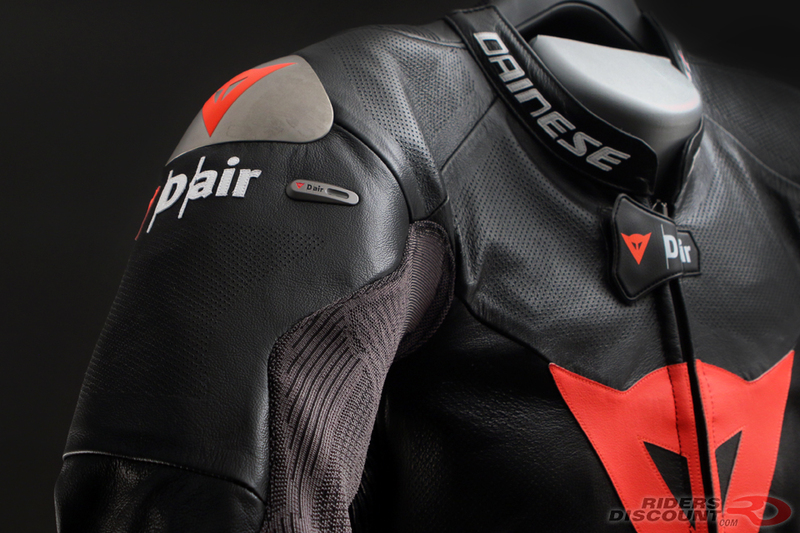 Even if not deployed, the system will still have to be serviced by Dainese after a period of five years from the date of manufacturing shown on your D-Air product. 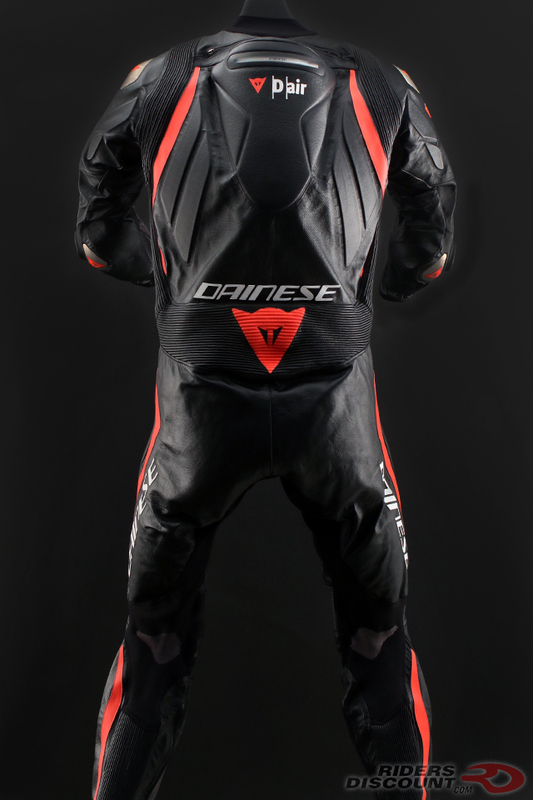 Dainese recommends charging the battery every two months, even when not being used on the track. This entry was posted in News, Product Reviews and tagged Dainese, Dainese Mugello R D-Air Leather Suit, Motorcycle, motorcycle suit, Riders Discount on February 14, 2018 by Riders Discount.